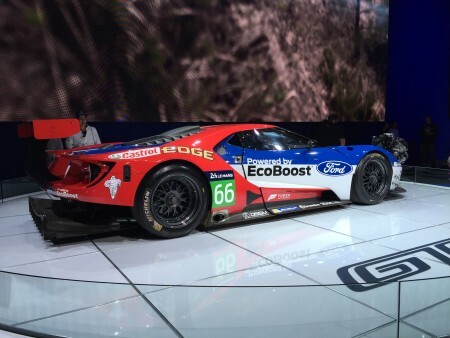 Home ♦ Endurance ♦ Ford Gt Lemans Car SEMA Pictures!!! While working at SEMA i had the chance to snap a couple phone pictures of the new Ford GT Lemans Car, and holy $@&* its a beast in person. The diffuser extends far behind the rear bumper and every single curve on the car has the impression that its purpose is to channel air and win big races. I had seen the videos online of the testing and to be honest i was a bit disappointed that the engine was not a naturally aspirated v8, but just as Audi did with their diesel program this car should play the existing rules perfectly and has a realistic chance of winning Lemans on its first outing. 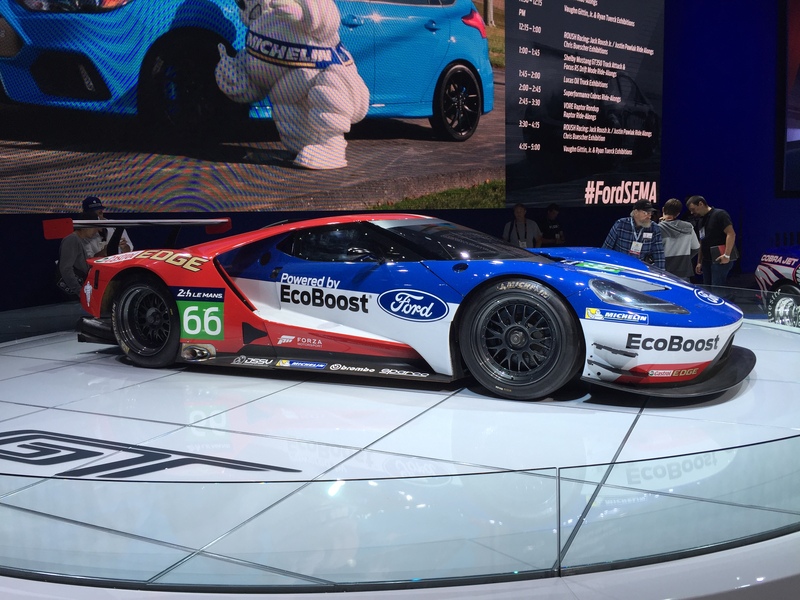 Every ten years Ford establishes their plans for the brand with a showcase project, the new GT ensures Fords future is strong and reestablishes themselves as the top America brand. Can’t wait to see it in action! The car is developed with Chip Ganassi and features a carbon fiber body with a 3.5L ecoboost turbo v6 that has been tested with great results in their previous Daytona Prototype campaign. 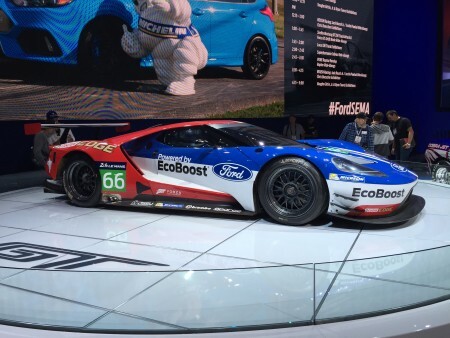 Look for this monster in 2016 where it will make its debut at the Rolex 24hr of Dayton in January. ← Previous Post: SKUSA Supernats!!!! !